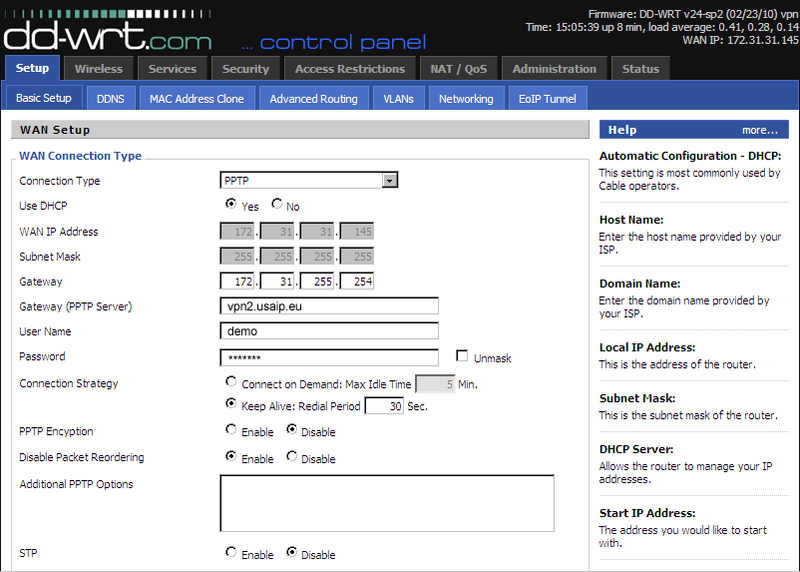 Please see DD-WRT compatible routers on DD-WRT. Access your router on the new LAN address and go into the WAN menu. Select PPTP. Please test your network that it doesn't block PPTP beforehand using our demo account and PC.